Diameter: 1.75mm; Length: 345m; Net weight: 1kg (2.2lbs); Tolerance ± 0.03mm; Spool Size: diameter 195mm + inner hub 55mm height 60mm. 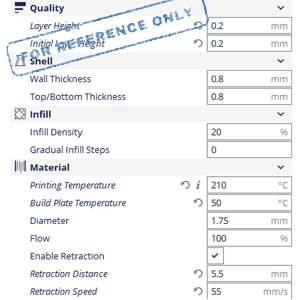 Printing Temperature: 200-240°C (392-464°F), depending on printer model. Recommended bed temperature: 80-100°C (176-212°F). 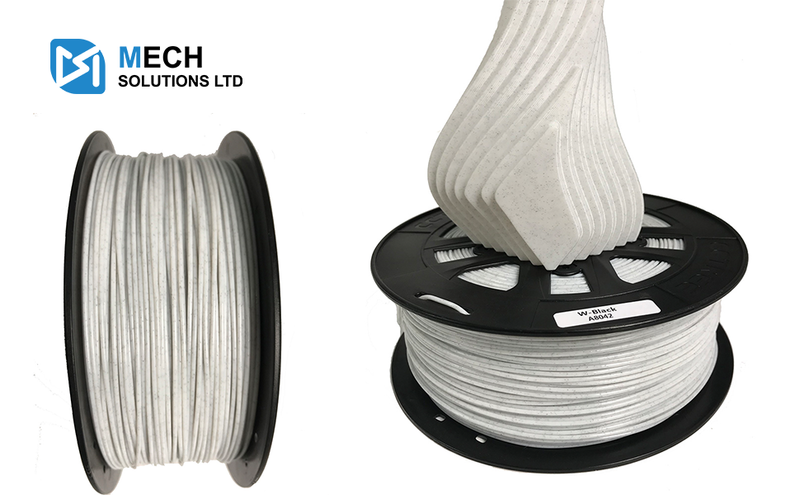 CCTREE Mable PLA 3D Printer Filaments, provided by Mech Solutions Ltd, are using 100% virgin and environment-friendly material. CCTREE does not include any cheap plastic fillers or regrind. The filament is vacuum sealed with desiccant to protect it from moisture.